The town of Blountsville was recently awarded a $250,000 grant for street and sewer improvements by the Alabama Department of Economic and Community Affairs to be supervised by the Community and Economic Development Division of ADECA. The Blountsville town council adopted a resolution for the block grant on July 18. The application proposed making improvements to the road, drainage, and sewer system in the neighborhoods surrounding Blountsville Elementary and J.B. Pennington High School, and then continuing with improvements around the town. 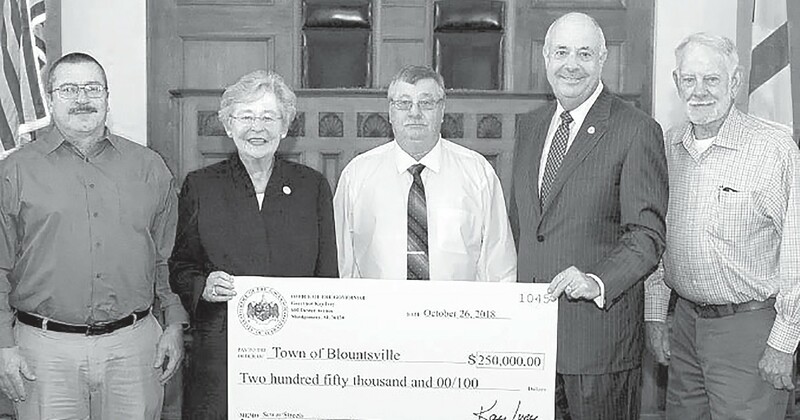 Mayor Mike Glass said, “Being awarded this grant will allow improvements to make the roads safer for Blountsville citizens and better the town.” He said it has been more than 20 years since the existing roads have been paved. According to Glass, plans include widening the roads around both schools – making it a safer environment for buses, administration, and parents – and sewer improvements. The project is slated to begin at the first of next year.